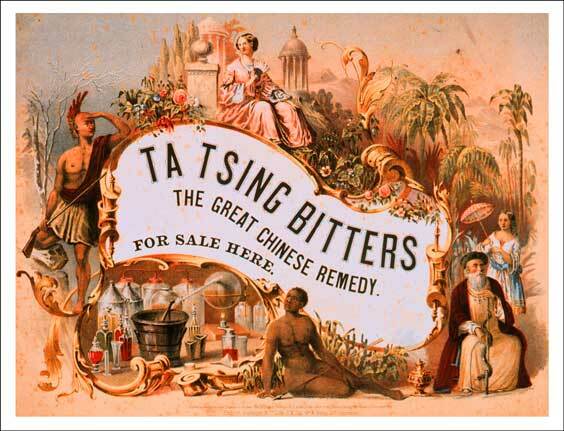 Ta Tsing Bitters / The Great Chinese Remedy. / For Sale Here. Lithograph. Ca. 1862. Trimmed: 9&11/16 x 12&13/16 in (24.6 x 32.5 cm). Cincinnati: Ehrgott, Forbriger & Co. Lith. Langstroth Collection. Art and Music Department.